Whilst it remains true that speaking to colleagues, line managers, friends, and ‘real world’ contacts will most likely lead to the next step in your career, there are a range of online resources that can act as primers for scoping your next career step. There are a number of tools for identifying the current opportunities / open calls across all areas of science and non-science related fields. findapostdoc – postdoctoral positions listings. This site does exactly as the name suggests, and as such is an excellent tool if you already know your next step will be a post-doc. It is easily searched by discipline, offers the opportunity to sign up to email updates, boasts a PostDoc discussion forum, and because of its clear focus on ‘the life postdoc’ it feels more direct than some others. A good site to recommend to PhD students who have expressed a clear interest in the postdoc path and are starting to survey the landscape. It has a clean straight-forward front page interface which invites keyword and location based searches. The results page immediately presents links to the identified openings and has a clear header tool bar which quickly allows you then refine your search. A relatively new meta-search engine that is currently rolling out through Europe, they are already established within the German, French and Dutch jobs markets. This is not a ‘pure’ academic search engine and thus alongside research roles you can easily search related or location specific options. There is no need to register with the site, but there is a facility to do so if you are looking to receive alerts and so forth. The front end is nice and clear with the site setting out its stall straight away. It is a well established site and many institutions choose to list their vacancies here as a default part of their advertising strategy. The search tool is flexible, and don’t let the .ac.uk URL fool you; the coverage of the community is broad, listing posts across the UK, Europe, Australasia, Africa, America, Asia, and the Middle East. There is a facility to create an account where log in allows you to save searches, receive email updates, and if you are willing post your CV. On the face of it this is part social network, part CV warehouse, part discussion forum, part job seeking tool – over time the offerings have evolved, and used wisely can aid the process of plotting your career course. It has the advantage of connections to people in companies and institutions through people you already know (essentially via a form of degrees of separation), making getting a chat about a career move that little less daunting. They do say that you should have separation between your actual social network and a professional network like this one, and it makes some sense as once you make a new connection with someone you hope is key to your next job its probably best that they don’t see every member of your extended family and everyone you’ve ever socialised with. Approach this as a tool rather than a social network and it can work very well for your career aspirations – it can be the fastest way to find who to call once you’ve exhausted all of your face to face contacts. Not a site that I am personally familiar with, but like others is very international facing and has search tools akin to other academic career networks. The focus of the site can be beneficial to those not wanting to be swamped by every possible job type. Finding the search tool is not perhaps immediately obvious and at time of writing is currently via the “View All Jobs” button half way down the page. naturejobs – jobs and vacancies listing hosted by the nature publishing group (npg). Another ‘go to’ site for University and Research Institute hiring teams, the listings are broad and cover the globe. The search interface is initially simple, and then rapidly allows you to filter and refine your results. As you might expect the site links in with the rest of the npg offerings, with prominent links to jobs blogs and news features. There is a facility to create an account where log in allows you to save searches, receive email updates and if you are willing post your CV. It describes itself as a gateway and indeed it is, so much so that you’ll find training courses  on using the site in the University research staff handbook (something I gather not at all unique to Cardiff). The portal offers listing of funding opportunities, universities / research news, offers email updates, and much more once you have registered. The institution has a subscription for most tools but you can take an individual registration if you prefer. Be forewarned this is physically big site so can be easy to get ‘lost’ in, so do seriously consider popping a training session booking in your list for your next chat with your line manager / principal investigator. The site is used by a broad cross section of University professional services and so is not simply a ‘job search site’. Used well this is a powerful resource, I think this other quote sums the scope of the site pretty well – “Leading universities have trusted us for 20 years to provide reliable data and independent guidance. Today we support 200,000 PIs and policymakers on five continents”. Should you want to know about the broad education picture and positions available follow the link. The newspaper hosting this site has a long history in higher education and is widely respected, thus it draws many institutions to lodge their job details / available positions here. Like other search sites here it comes with an abundance of links to advice articles and opinion pieces. The upfront search interface from the link posted above is super simple with a number of search refinements on this main page. THES offers a login registration which gets you access to newsletters, previous job searches and so forth. Andrew Hollins is an experienced post-doc researcher whose career spans over a decade. His work has focused on primary cell models and stem / progenitor cell biology and is a Research Associate with the Cardiff CRUK Centre developing organoid technology platforms. 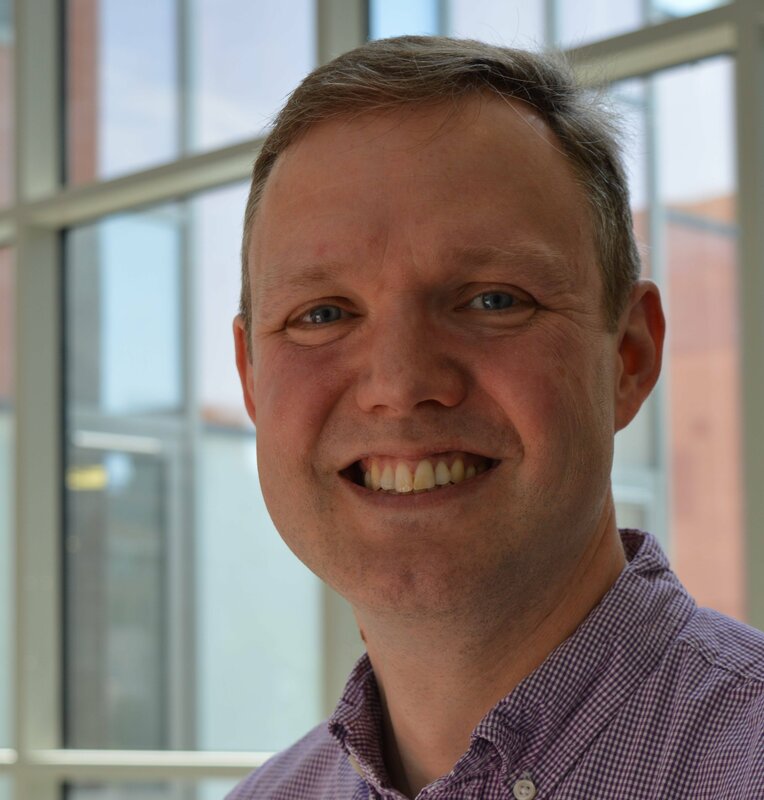 He is based within Prof. Trevor Dale’s lab and works closely with the Prof. Alan Clarke lab group based in the European Cancer Stem Cell Research Institute.